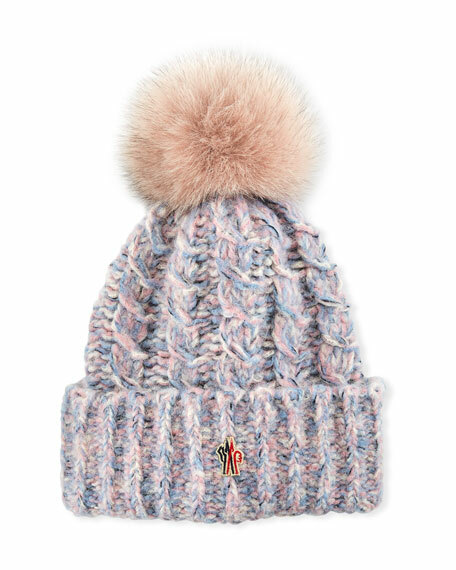 Moncler Grenoble tweed hat with pompom. Dyed/natural fox (Finland) fur pompom top. Logo patch at front hem. For in-store inquiries, use sku #2654427.